I have clearly been slacking here. To be more precise, life has gotten busy, so I’m not so much slacking in general as I am neglecting this blog a bit. 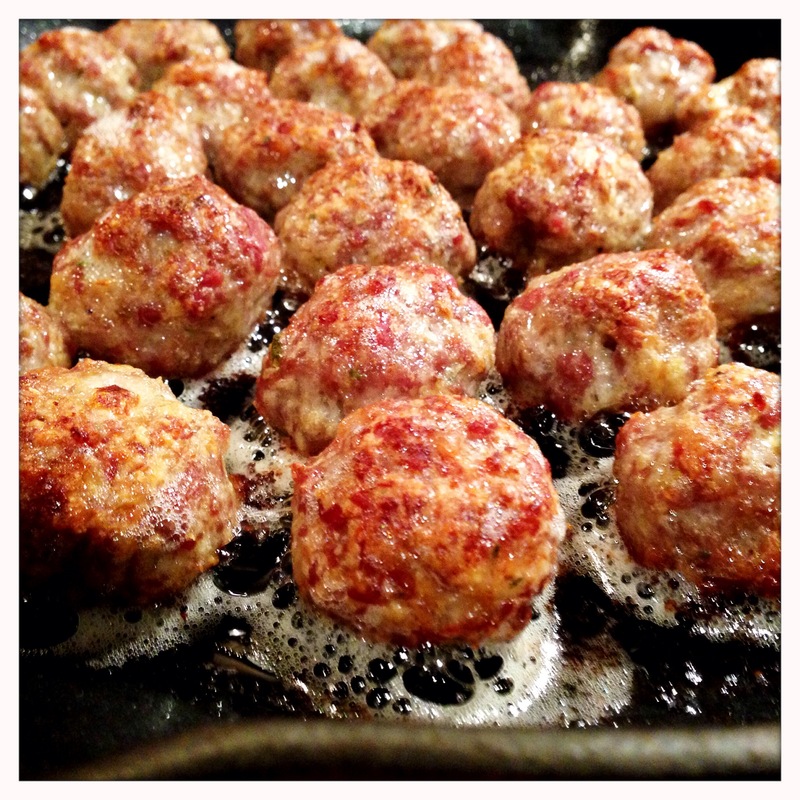 I’ve still been cooking, and still taking photos, though – so here’s a short post on a quick way to perk up basic meatballs. Nothing complicated, just used a package of sausage instead of the usual ground beef. These are a great way to punch up the flavor of your meatballs when you’re in a hurry, and are a nice alternative to a meat sauce. They also require less attention than cooking the sausages whole. 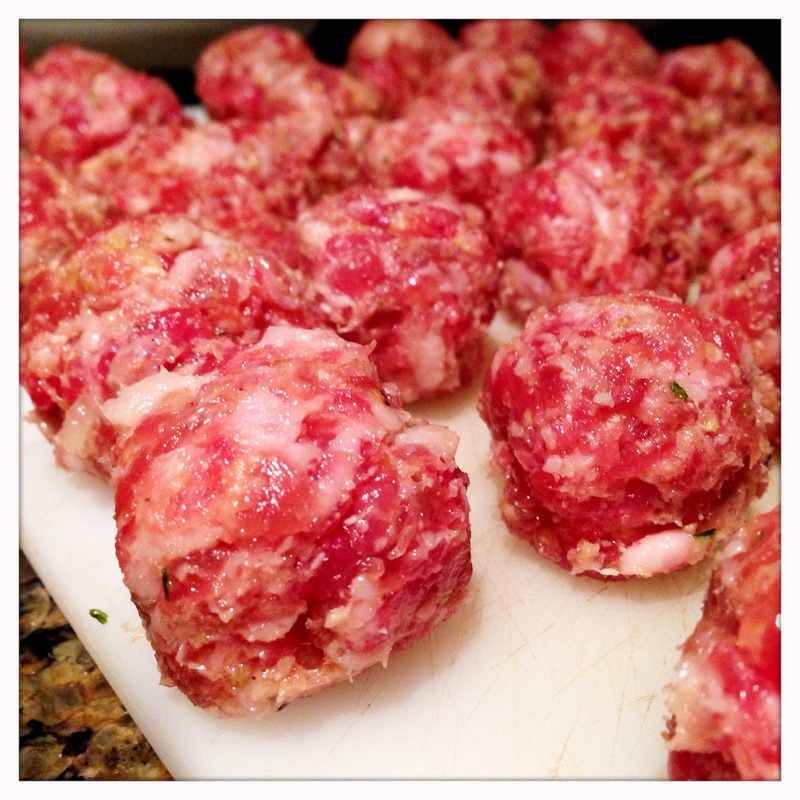 I use this as a time saver when I want meatballs because there’s very little prep involved. All of the flavors are already in the meat, and very little gets added. I do a quick sear and finish in the oven while I make the pasta and simmer the sauce. In addition, a fair amount of the fat renders out and can be easily drained or blotted away rather than incorporating into the dish, so this does make the sausage a little bit healthier, as well. Add the egg and cheese to the meat, and gently work the mixture together. 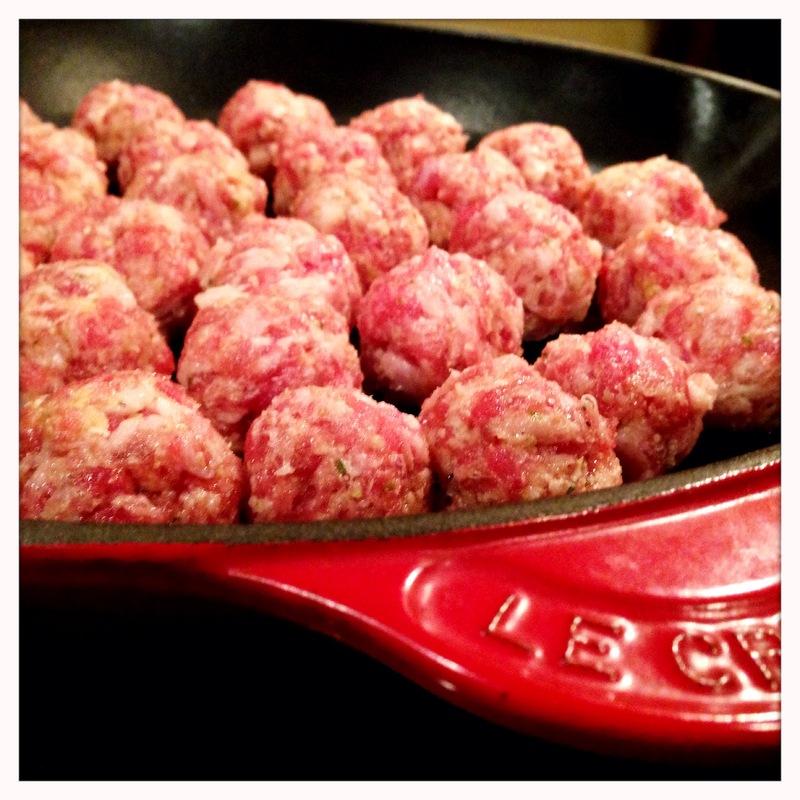 Form the meat into small balls, roughly the size of golf balls. Heat an oven-safe skillet (preferably a heavy cast iron skillet) over medium-high heat. 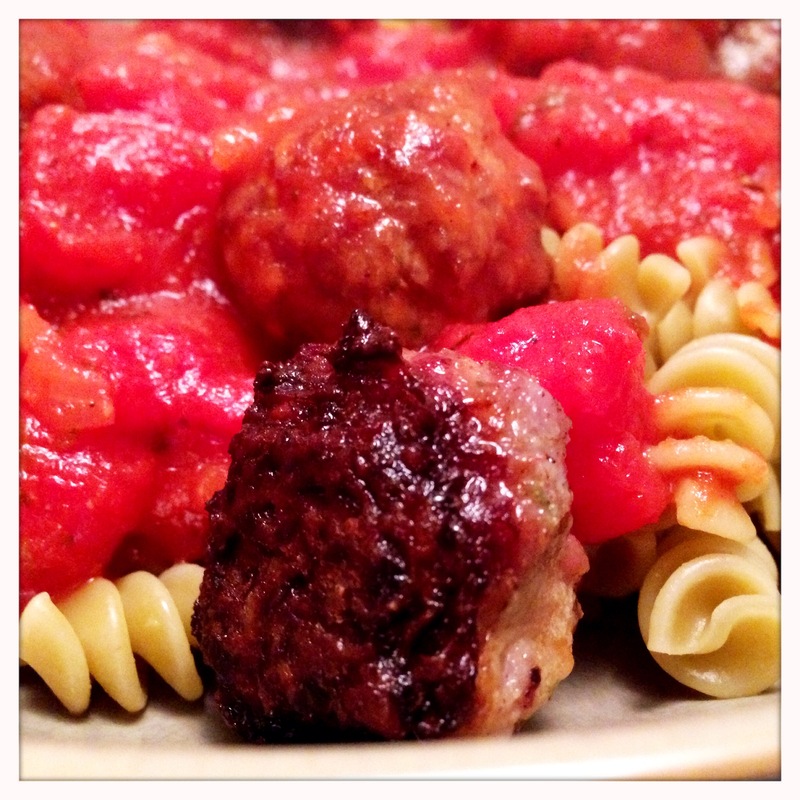 Once the skillet is hot, add the meatballs. Let the meat sear for 4-5 minutes before transferring to the oven. Let the meatballs finish in the oven for about 25-30 minutes. While the meatballs are in the oven, boil the pasta of your choice according to the instructions on the package. In a separate pot, heat up some pasta sauce. While I admit that nothing beats a homemade sauce, this is a weeknight meal, and a quick one at that. I like to start with a high quality jarred sauce and add a few touches according to my tastes. 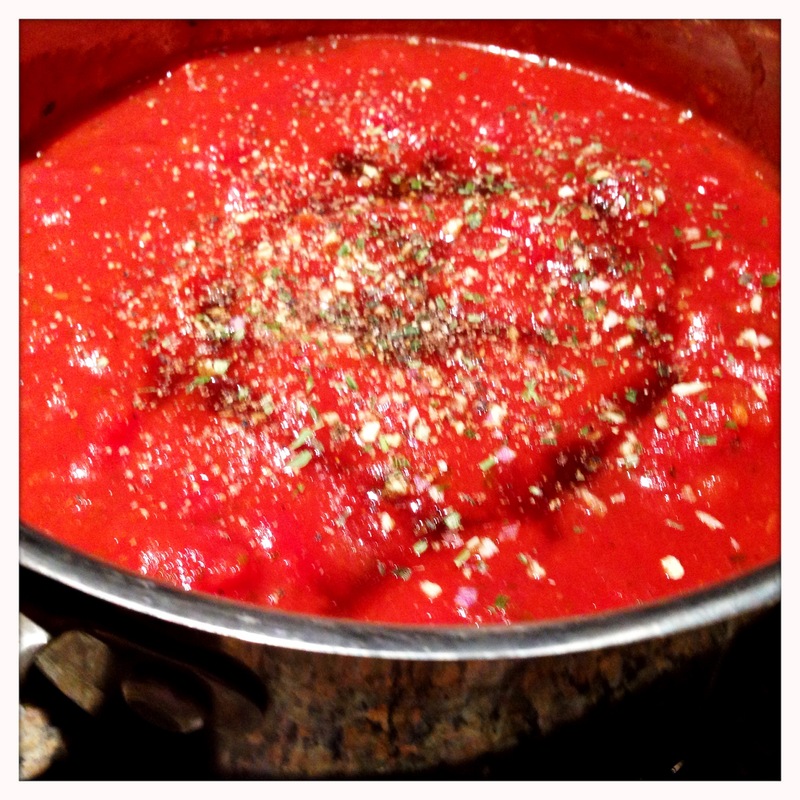 In this case, I used a tomato basil sauce and kicked it up with a blend of dried onion, chive, shallot and garlic. I also added some fresh black pepper and diced tomatoes to wake up the flatness of the jarred sauce. It may not be homemade, but the freshness added by a little extra seasoning makes this more than passable for a weeknight dinner. 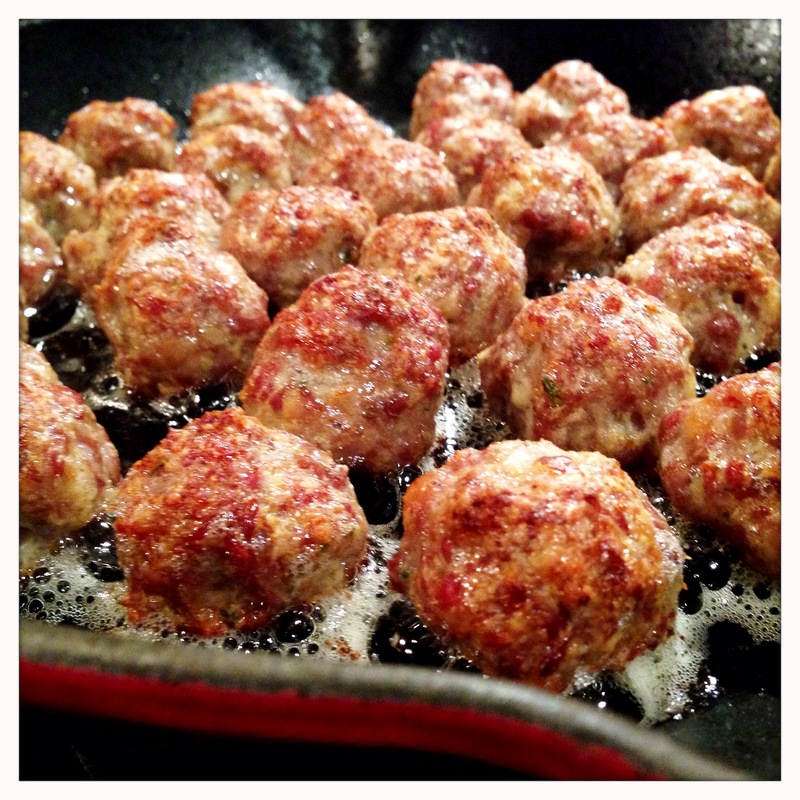 Once the meatballs are done, carefully remove them from the oven. The sausage will crisp up nicely on the edges, giving a great texture and holding in the juiciness that sometimes gets lost with regular meatballs. Additionally, they will form a nice, dark crust on the bottom from the sear, which is just delicious. From start to finish, this meal can be on the table in about 30 minutes, which is perfect for a hectic weeknight meal, and the sausage meatballs will give it a little something special beyond the regular spaghetti and meatballs. Enjoy!